Imagine you were £1,000 better off every month. How would it feel to know how to make money that could change your life? Let me tell you: it’s amazing. You aren’t trapped by repayments and limitations that are part and parcel of all of that extra financial responsibility. 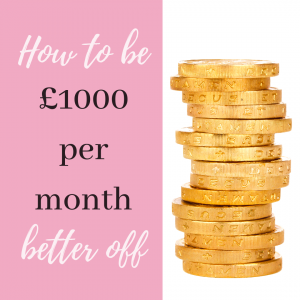 So how to be £1,000 per month better off? Firstly, let me admit that there is no quick and easy way to have an extra £1,000 into your pocket every month. It takes time, perseverance and commitment. You need to be dedicated to achieving this over a period of time, and work at it until it does. Still reading? I hope so! It took my partner and I a year to be £1,000 per month better off. It was a year of budgeting and tough lessons. However, it allowed us to learn how to make money by budgeting and repaying debt, so it was well worth it. Sick of wondering how to make money because we were financially overstretched, we made a plan to pay off our £16,000 debt in one year. Our debt comprised the remainder of a car finance deal (£5,500) and a loan we took out to complete our costly home renovations (£11,000). The minimum monthly repayments were £161 and £243 respectively. Instead of focusing on how to make money to enable us to keep spending, we stuck to a basic budget and greatly reduced our expenses over the duration of the year. Restricting our budget allowed us to overpay our debts. Within a few months, we had paid off our car, making us £161 better off per month. We invested that money into increasing our debt snowball, and within a year, we had paid off the home loan, too. Paying off our debts made us £404 better off per month, but that was less than half the story. Our budget highlighted where our money was going each month, and how much we wasted. We found £598 that we were otherwise spending on nonsense every month, and we stopped doing it. By sticking to our budget, we were over £1,000 better off per month. 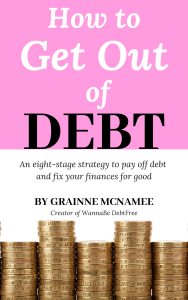 When debt free, continue to stick to your budget. Quickly do the maths; if you completed these steps, by how much would you be better off each month? You might not believe that you have any excess money in your budget to begin with- neither did we (we earn average salaries, FYI). I don’t know your circumstances, but what I know is this: we all have habits that are keeping us broke. Let that resonate for a second. I don’t know a single person who can honestly say they’ve never done any of these. So rather than telling yourself you can’t do this, I hope you see that budgeting will give you back the control you need. With budgets, you have the power to make decisions that make you stressed, stop you from sleeping, cause rows with your partner, and force you to work more and live less. With that same budget, you are empowered to make changes right now that can fix all of that. The answer to how you make money is by making room in your budget. However, what if you absolutely can’t create a surplus in your budget? You can always up your income with a side hustle, and still follow this plan. This would also give you the added bonus of multiple income streams once you’ve finished the plan. Here’s my suggestions on how to make money, and my favourite on the list is matched betting. Figure out how much you need to increase your income by, and put that income straight into your budget to follow the above plan. The best way to spend your money is by getting out of debt- you’ll get those repayments back, plus a whole new lease of life. 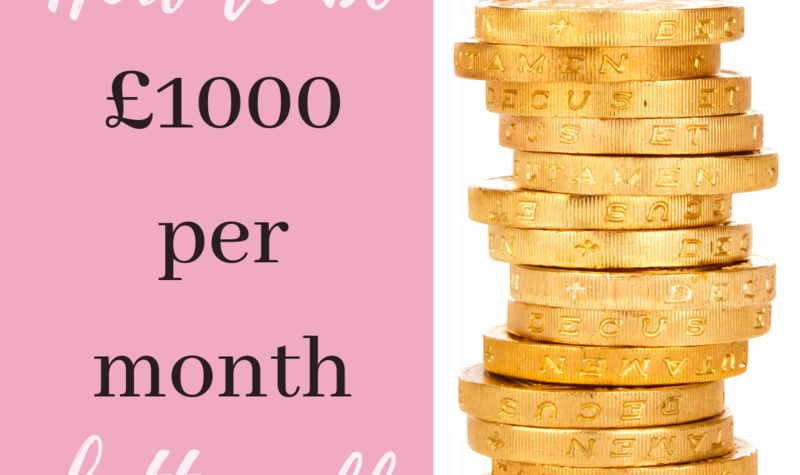 A year from now when you’re £1,000 better off per month, you’ll be so glad you started today.